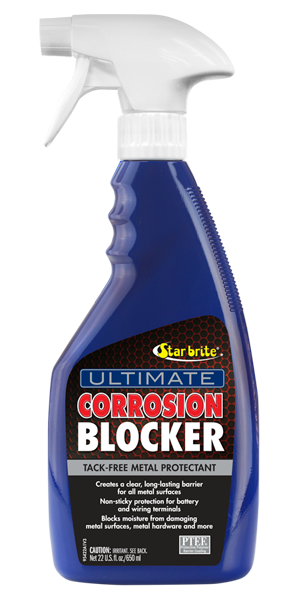 Star brite’s ULTIMATE Corrosion Blocker with PTEF® was created to deliver the most effective protection for all metal surfaces. Unlike aerosol protectants that are either runny or create a gooey, sticky mess, Corrosion Blocker quickly cures to form an invisible, tack-free and durable finish. The formula will not harm wiring, paint or wrapped surfaces. It delivers long-term protection for engine blocks, frames, wheels, spokes, tools, trailers and all other painted, bare or polished metal surfaces.